One outstanding feature of the CFS is the possibility to add planes and modify their characteristics. I currently lack the tools to create new planes, but I have made a number of modifications to imported planes, notably Damage Profiles (I presume you know what a damage profile is, otherwise please refer to Microsoft's CFS homepage). A graphical damage profile editor. Several damage profile editors are available on the internet, but of course I had to write my own. The advantages of my .dp editor, called DAMEDIT are, in my opinion, the graphical editing facilities and the autoaim function that enables you to easily harmonize guns. Present version, 1.2 is reasonably bug-free and has meny new features. For example, box locator function, saves a dp with gunflashes in all corners of a selected box, for easier alignment with visual model. Newest features are command-line file entry and rating function. As i may not find the time to improve on Damedit, I am releasing it as PUBLIC DOMAIN. This means that you are free to use it, change it, and publish it as you please. However, it stays public domain; you cannot claim copyright on any changes you make. Damage profile tutorial. Revision 2. How to make and modify damage profiles! The Star Wars craze is on - - again! So join it and fly this 72 mission Battle of Europe campaign in Star Wars livery. Be prepared for some weird experiences, and some really hairy flying. Unless you are a real ace, I recommend you start at rookie level. 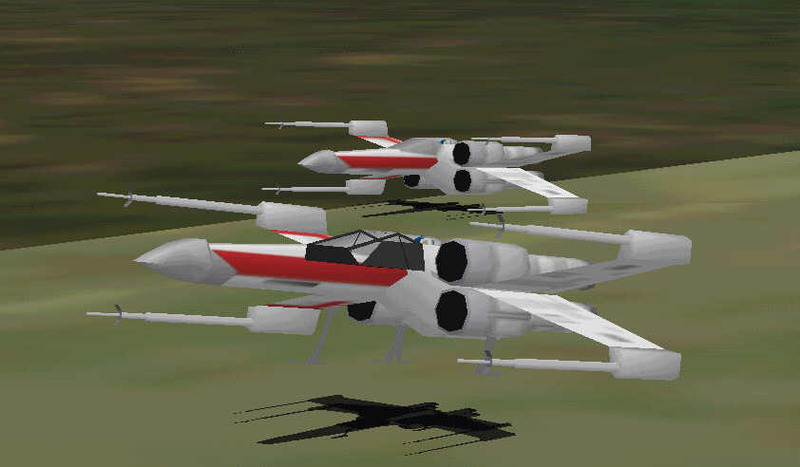 For those of you that fly Trogfighters: You can replace the Starwar planes in the campaign with the Trogfighter S/W planes, but this will affect gameplay, so I recommend that you use the types enclosed in the campaign. Special thanks go to Chris Evans, whose great X-wing design inspired this campaign. This is a pure fantasy mission, but with a core of truth: Allied pilots were sent on recreational leave after a certain number of missions (if they survived that long), but the Germans were short on reserves, so they couldn't afford that. German pilots were kept flying till they cracked up or were killed. Some sources claim that various drugs were administered to ease the battle-fatigue that had to occur after scores, sometimes hundreds of missions. This mission is a vision what could happen with pilots on acid. It is not an easy mission, by the way. Achtung! The Allied have imported a group of Polikarpov PO2s from russia to help the post D-day advance in Germany. Fly your staffel of Bf109e over and wipe them out before they start night-bombing our troops like on the eastern front! Attacking slow biplanes in broad daylight, just as they take off? A turkey hunt? Well, you're going to find out why they awarded Iron Crosses for shooting down PO2s on the eastern front! A very special plane, read about it here. Fancy a bit of science fiction flying? 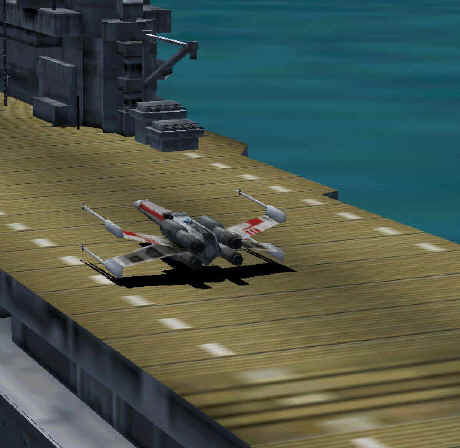 Jump into the Rebel flagship fighter, and feel The Force! Open throttles and fly 1600kts flat out, or apply full flaps and hover! 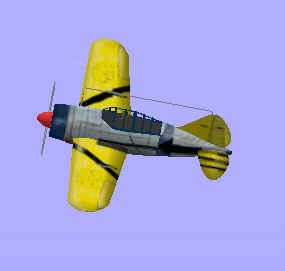 Fly with lowered gear to have a speed range fit for dogfighting. Turn on a dime regardless of speed. Four 35mm fast-firing cannon can take out anything in the air and most things on the surface, two 60mm armour-piercing cannon can sink a battleship! There are no rockets or bombs, but with those guns you wont miss them. Model by _Q__, thanks for your kind permission to use it. Airfile by Trog100, DP, plane container composition, and CFS2 adaptation by me. All parts were originally made for CFS1, and there are a few quirks left over from the conversion, -take them as the price of flying a piece of super-advanced technology in WW2. This is a rather peculiar craft. The tripple radial wing arrangement should really give some very special handling characteristics which are not well modelled in this version. I have not been able (so far) to make an airfile that reflects the rather unique aerodynamic properties that a craft like this should have. Instead (and properly fortunately), it handles like a rather normal airplane. The DP is another experiment in special gun arrays, in this case emulating a powerful laser cannon. This cannon is a powerful surgical weapon; forget about deflection aiming: This gun hits where you aim, period. If you aim well, you can kill anything, if not, bleak! In this version, there is a fault in the DP: For some reason, which I dont yet understand, the Hopper is invulnerable! -Still I think this is a fun plane, so I wanted to share it. A VERY special "airplane". This is a flying and fighting outhouse. Camara plane. This was basically made for the CFS Aces Convention, but can be used for any kind of observation duties. 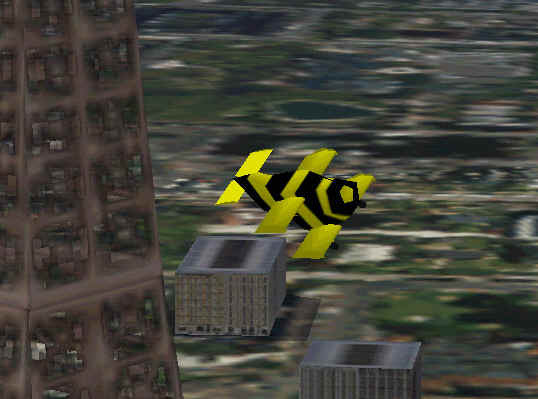 It looks like a Bumble Bee, but uses a modified Pitts airfile. As it should be able to follow its motives around, it has to be a hot bird. The damage profile is a bit special too: The Cambird is invulnerable, but unarmed. It is not immortal, since crashes and collisions can still destroy it. 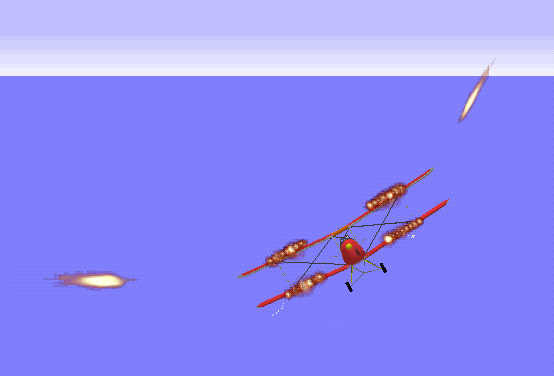 Many multiplayer fans fly "Trogfighters", which is a set of planes with different looks, but identical .air and .dp files. The idea of this is to create a level playing ground, but still give players the look and feel of flying different planes. The trogfighter flies like some average good WWII fighter. Other people fly so-called MODS. There are many definitions for a mod; here I will define it as a plane that has unrealistic performance, that is a plane that did not and could not exist during WWII. 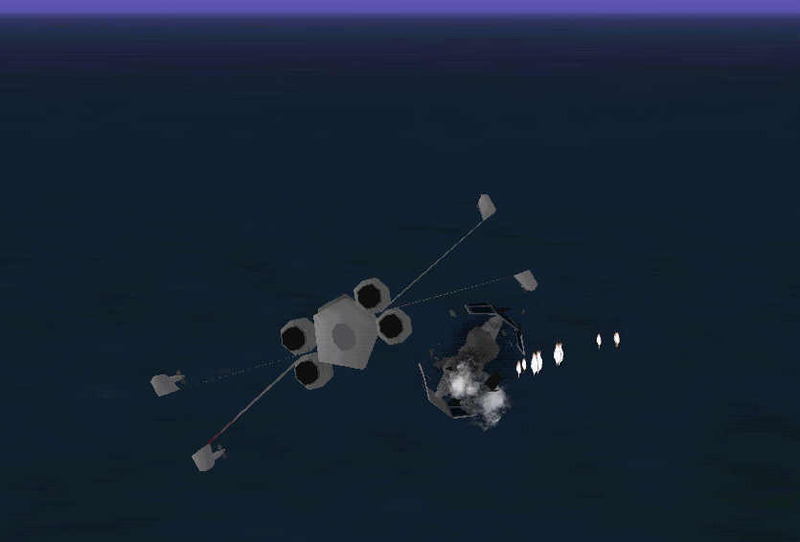 Flying mods in multiplayer is problematic, since the person with the "hottest" mod tends to win, possibly in spite of inferior piloting skills. However, if all players use identical mods, the game becomes fair. But then why fly mods? 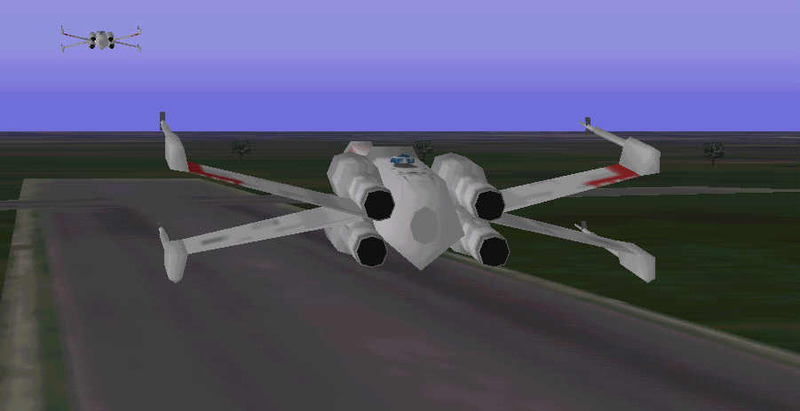 - Well some players want to enjoy the thrill of aerial fight simulation without having to learn too many piloting skills (and even skilled pilots like to take a mod into a mission and do some turkey shooting now and then). For these purposes, I have made a set of mods of varying strengths. 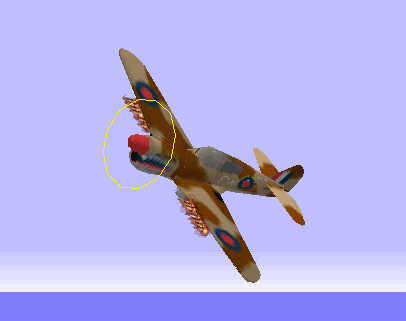 First, a "light mod"; this plane was really only intended to fly against its own type, but as it turns well and has good speed, it holds its ground well against stock planes. Guns are fairly weak, but precise, so good marksmanship is required. It borrows its looks from the Brewster F2 Buffalo. A plane like this might have, but never was, built during the last days of the war. Download Hans-gf01.zip (192k) Light mod. Dressed like a Hellcat, this is the kind of plane that might have been built during the early fifties, if the technology actually put into making jet fighters had been used for a prop dogfighter. Quite fast and extremely agile and with four powerful cannons shooting very straight and very far, this plane is a deadly adversary in a dogfight. Since the power of MODS tend to escalate on the Zone, this one has been souped up a bit, with a faster .air file and a hotter DP. 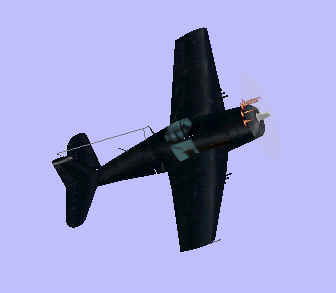 Download Hans-gf02.zip (355k) Medium mod. Just a simple Warhawk costume, but this is a plane that could not be built with any technology known by man. Close to supersonic topspeed, and still turning on a dime. 14 very powerful, very long-range cannons, this plane is built to take on those 80+ gun flying batteries you will meet on the Zone. The MKII has been souped a bit to keep up with the arms race on the Zone. Download Hans-gf03.zip (35k) Heavy mod. The arms race goes on, so here is a new MOD. I call it a supermod, because its heavier than the heavy mod. There is a widespread belief that any sytem over a certain level of hit points is unkillable; this is not really true, but here no system is over 19,000 hit points. 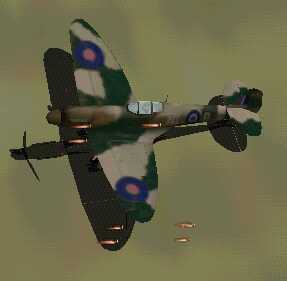 Still its not an easy bird to kill, and it carries some heavy guns. I hate the 600 gun concept, so you still have to aim this one, but then it does damage! Should anybody get on your six, just pull the secondary trigger and fire the array of rear-firing guns! OK, it HAD to look like something, so why not a Tiger Moth? More wing area for guns! I have often claimed that it was easy to make an unbeatable mod, thus flying mods is really pointless, as whoever happens to make the most invincible mod will win, regardless of pilot skills. To prove my point, I have made this. I call it the Wraith. It is totally invulnerable, and has magic or thermonuclear guns. 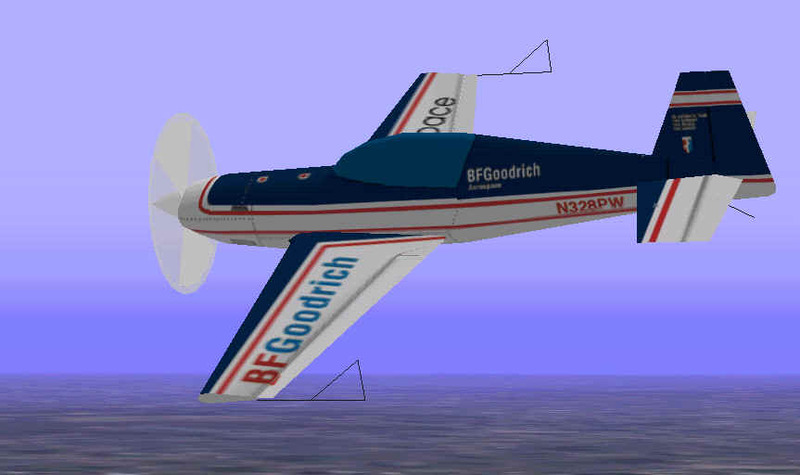 Haven't even bothered to give it a MACH2 .air file, just a souped up PROP (which is wild enough). Bringing this to a multiplayer game is a CHEAT by ANY standards. You can use it in quick combat or single missions if you are in the mood for a real turkey hunt. Whatever you think of this plane, it is one of my most popular constructions. It is downloaded at a steady rate of appr. 20 per week, so by now there must be an armada of them out there, hehehe! MK V version now available. 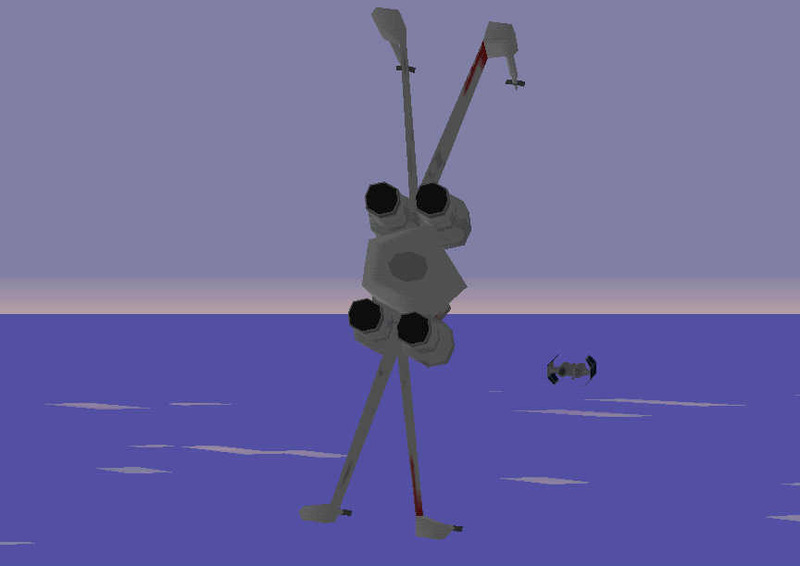 Improved flight characteristics (earlier versions were difficult to steer precisely), improved flak cannon. 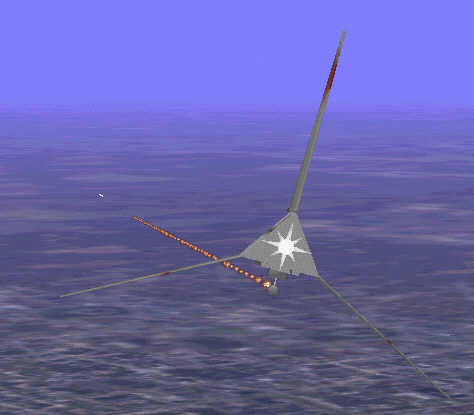 Flak cannon effective from 300-4000 meters. 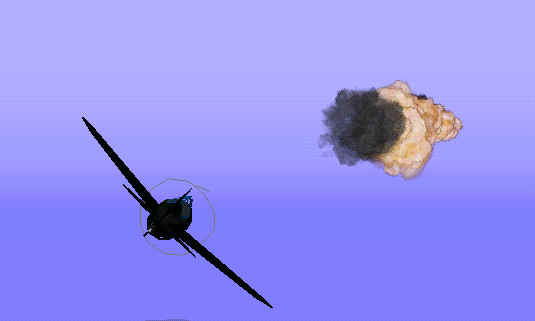 A four-in-one pack of Trogfighter Pitts compatible aerobatic fighters. These are really hot birds; Bumble Bee, Tucano, Extra, and Howard Hughes Racer. All using Pitts .air and .dp. A little story about the Bumble Bee: I found it on Dave Middleton's site and downloaded it. It is the smallest man-carrying plane ever built. The wing span is about 2 meters. 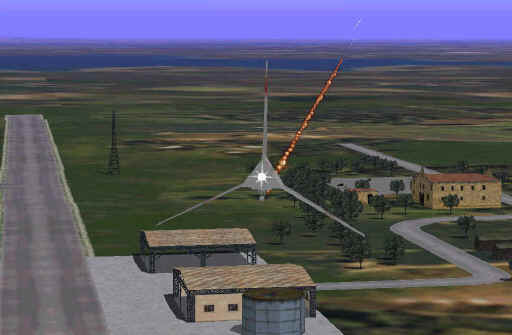 The real plane could fly, but the FS98 version certainly could not. 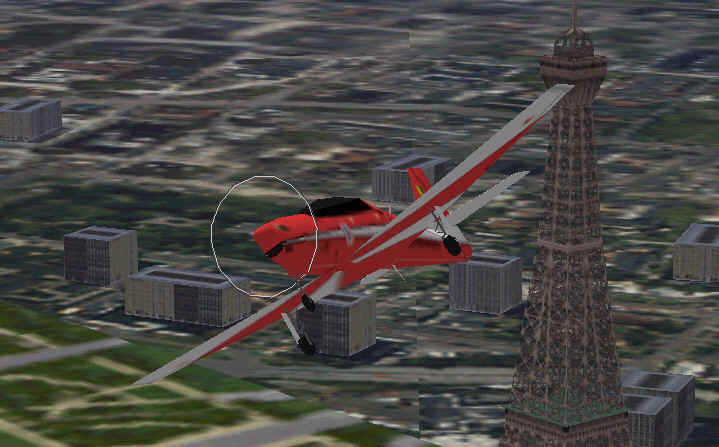 Even when taking off in another plane and converting in midair, it was impossible to stay airborne, at least I couldn't. I ported it to CFS and tweaked the .air file till it could fly. It was still tricky, but fly it did. 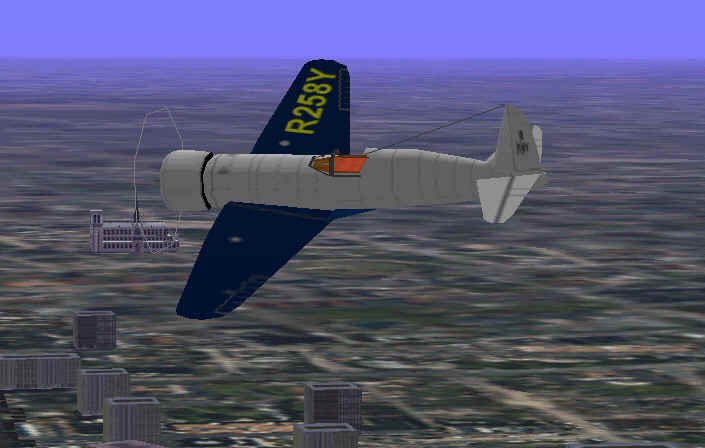 This version, using the Pitts .air file flies very well and is great fun. It seems a small target for multiplayer, but the colors make it easy to see, and the .dp is the same as the Pitts and the others in this package, so it is as easy (or difficult) to hit as those. Looks great, but there are a few snags to be ironed out, heheh!